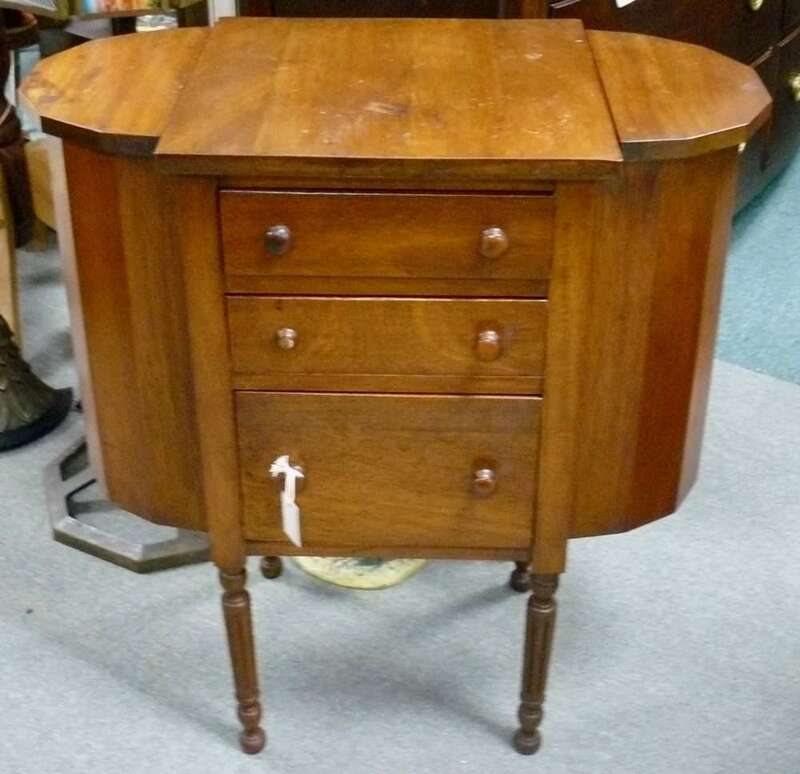 Suter Secretary (ON SALE! ), Hot Pink Lamp and a Salt Glaze Churn! 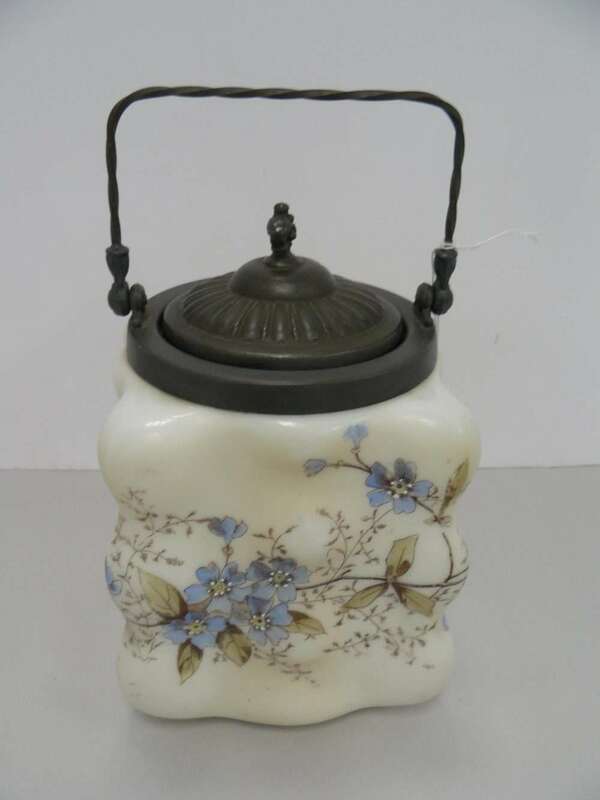 Appraisal Day – Coming Up! Saturday, April 21st – 11am to 2pm. Bring in Your Favorite Treasures for a FREE Appraisal! Refreshments Served! Suter Walnut Secretary, on SALE! 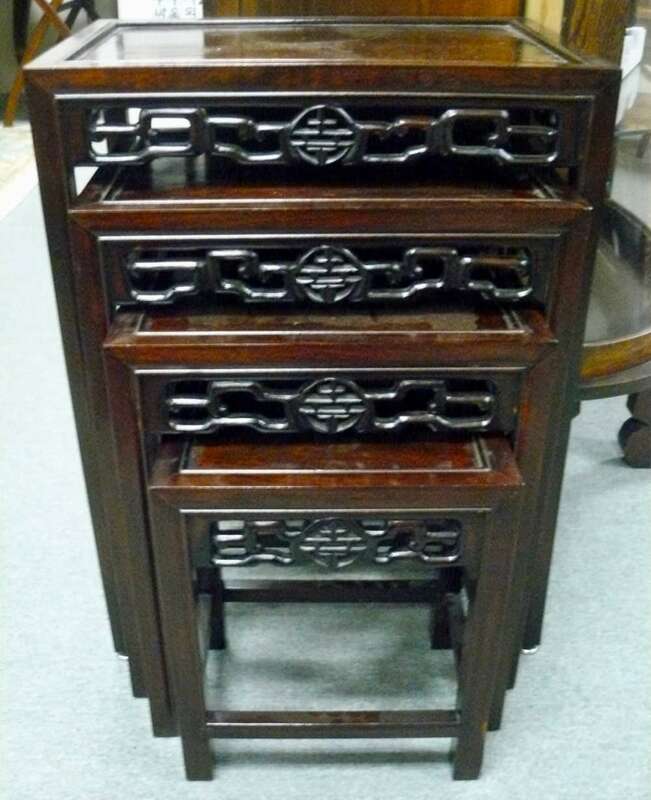 Was $4500.00, Now $3000.00. Booth 33ha. Come take a LOOK! 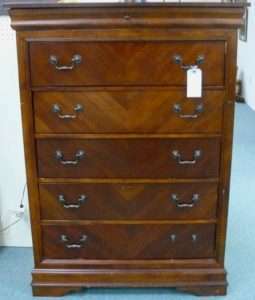 Chest of Drawers, Booth 300, $118.00. 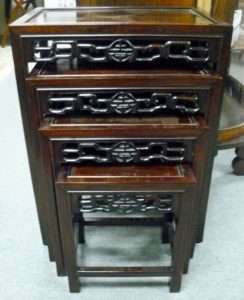 Chinese Carved Rosewood Nesting Tables – Set of Four, $595.00, Booth 314. 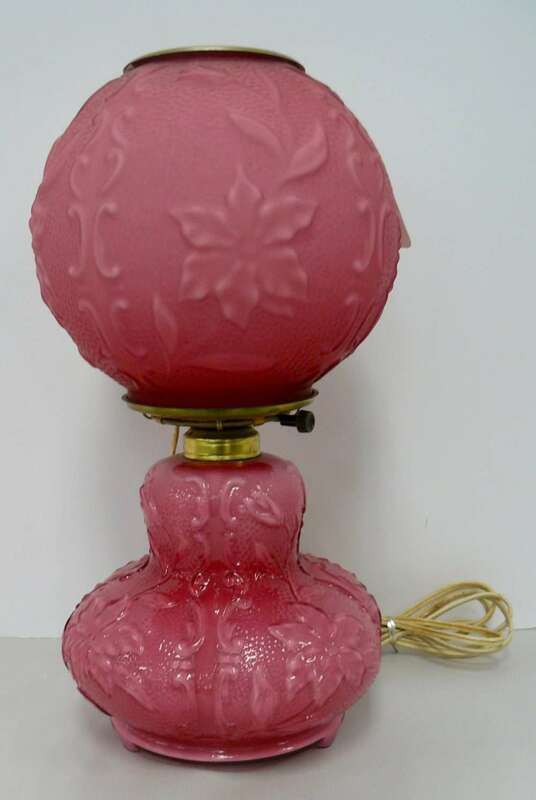 Hot Pink Cased Lamp and Shade, $350.00 – Booth 420. CF Monroe Wave Crest Decorated Opal Biscuit Jar w Silver Plated Trim, $225.00, Booth 420. 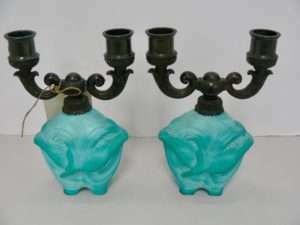 Phoenix Carved Double Candlesticks, Circa 1920 – $175.00. Salt Glazed Churn w Blue Bird, On SALE! 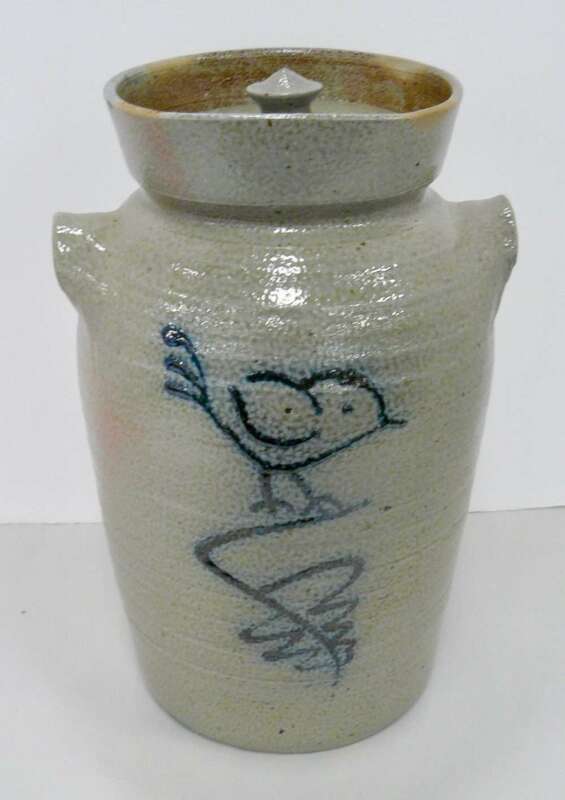 Was $75.00, Now $50.00, Booth 38. 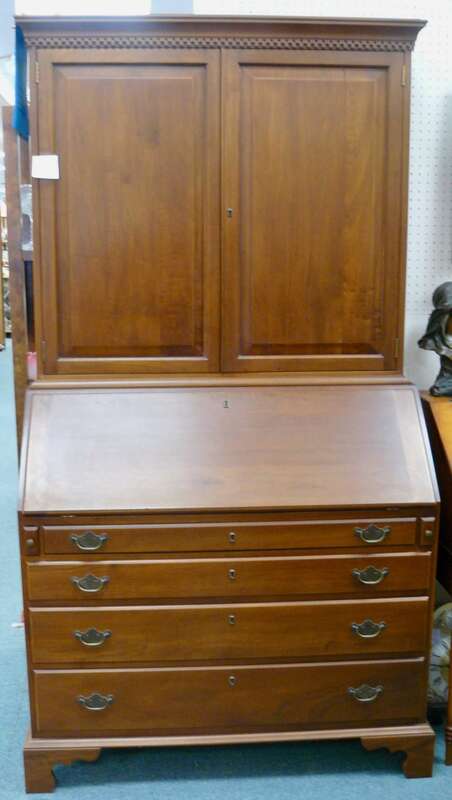 Antique Sewing Cabinet from Booth 314, $195.00. 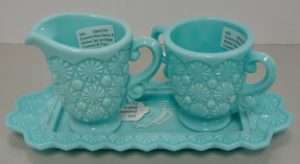 Fostoria Blue Daisy Button Three Piece Set, Sugar, Creamer and Tray, Booth 420 – $69.00. ‹ 1700’s Tall Chest, Napoleon Statue and a Hall Duck Casserole!